Welcome to the charming, 3-bedroom Greenbriar which looks much larger than it appears from the outside due to the open-concept great room with fully-timbered roof system and large stone fireplace. It features the spacious master bedroom with private master bath on the second floor – a quiet, relaxing respite from the downstairs. 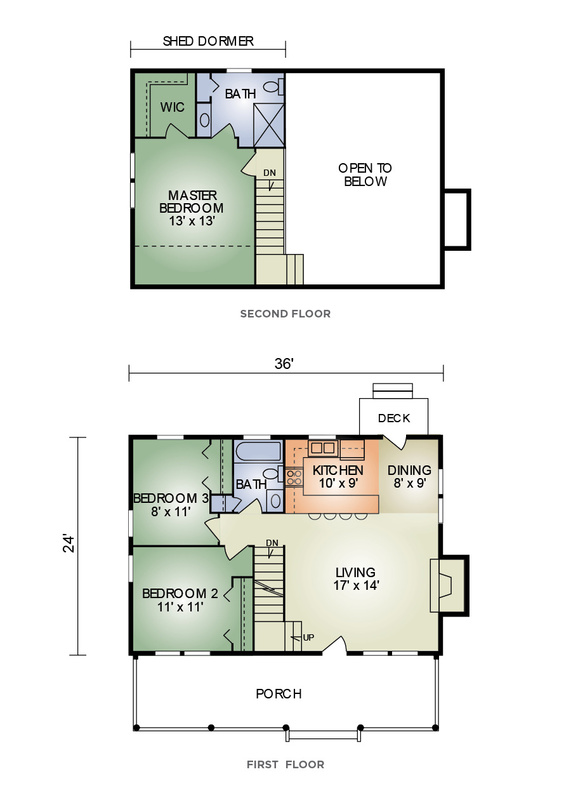 The first floor includes two additional bedrooms and bath. 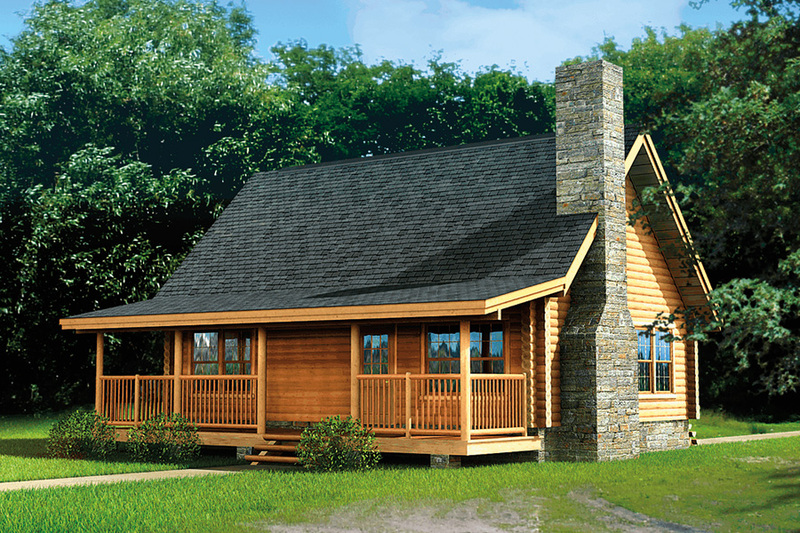 The full-length covered front porch offers a comfortable place to relax and enjoy the outdoors along with your guests. The popular Greenbriar offers a lot in a small package and is affordably priced.